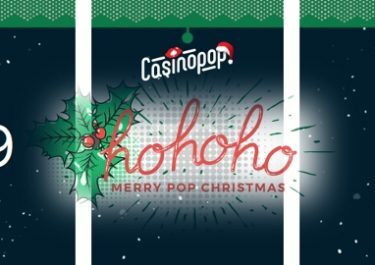 Casino Pop – Lucky Wednesday! Play for Free & Epic Spins! Compete for Free and Epic Spins! Every Wednesday between 18:00 – 23:59 CET, Casino Pop is throwing a party with a thrilling tournaments Join in and play your favorite slots and win extra Free Spins or even Epic Spins by reaching TOP5 on the leader board. The best 20 consecutive game rounds counts as high score with a minimum bets of more than €1,00 per spin needed to qualify. And do not forget that there are extra popSpins for all players as well as extra Free Spins on level up for Silver and Gold members. Play on any slot with more than €1.00 per spin to take part in the weekly tournament from 18:00 – 23:59 CET. Ranking on the leader board is determined by the equalized win over 20 consecutive spins. TOP5 scorers will get 75 – 150 Epic Spins and 25 – 50 Free Spins on the game of the week. Epic Spins have 3x the value of Free Spins. Standard wagering requirements apply to the winnings from the spins, subject to the Casino Pop bonus terms and conditions.